As I continue to look back at the stories that made me sit up and take notice in the world of hockey, it's always good to remember some of the other things that helped attract a few readers, and hopefully those readers are still with me today. Teebz's Book Club is fairly popular, especially around this holiday season. The You're Wearing That? 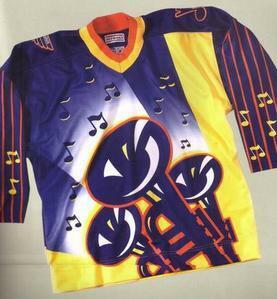 articles are always good for a chuckle in regards to some of the promotional jerseys worn in hockey. I wrote a number of these articles this past year, and you can find them under the drop-down lists to the right. Here's Part Two of HBIC's Year-In-Review. July 2 saw me criticize teams for their spending on some of the free agents on the market this past off-season. It was more of a salary cap/spending critique, but there are teams benefiting from their free-spending ways. July 5 was a day for history as I took a look at some of the Winnipeg Jets' past. There are a number of memorable and forgettable moments in that article. July 9 saw me rip the Iowa AHL franchise for name the team as the "Chops". Greg Wyshynski linked me on the Puck Daddy blog, and that only added to the fire. Iowans were not pleased with my diatribe. July 11, I apologized to the people of Iowa, but I was not apologizing for ripping the AHL franchise. July 12 was the first teaser that EA Sports hit us with in regards to NHL '09. I was bubbling over with anticipation for this version. July 15 saw me expose the parallels between baseball and hockey, and how the two have an intertwined history. There's some good history here. July 20 has me perusing Ebay for a while, and I discovered a large amount of questionable stuff. I should have followed up Jay Leno-style to see if these things actually sold. July 22 saw Hayley Wickenheiser sign with Swedish third-tier team Eskilstuna Linden to play alongside the men. This would be Miss Wickenheiser's second attempt in playing with the boys. July 28 saw the first major story break about NHL alternate jerseys for the upcoming 2008-09 season. 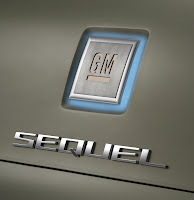 Howard Berger has some great info on them, and he's almost bang-on with each of his previews. July 31 had me questioning the thought process in Minnesota Wild GM Doug Risebrough's head as he signed Owen Nolan to a more expensive contract only to cut a more productive and cheaper Mark Parrish. I still don't get this. August 3 had the Iowa Chops back in the spotlight as they offered NFL free agent quarterback Brett Favre a contract to play in the AHL. This team appeared to be generating news all the wrong ways. August 8 saw me deliver a comprehensive overview of field hockey as the 2008 Beijing Olympics prepared to kick off. Great read if you're interested in the sport of field hockey and how it may have started. August 11 had me looking into the absence of India from the Beijing Olympic Games. For a once proud nation on the field hockey pitch, they have fallen quickly from their height as a field hockey power. August 16 saw the first salvo of words between the upstart KHL and the NHL. Personally, I think either side making threats is childish, but this is hockey business, I supposed. August 20 was the day that my good friend, Bethany, broke the story regarding Stefan Legein's decision to walk away from the game of hockey. My thoughts were posted in the article, and I wasn't too pleased with some fans' reactions to Legein's decision. August 22 had me post the final standings from the women's field hockey event at the Beijing Olympics. Congratulations go out to the Netherlands for their gold medal victory! August 23 saw the men's final standings posted from the 2008 Beijing Olympics. Congratulations go out to the powerful Germany squad who secured the gold medal for their country! August 24 saw me partake in a bit of a thought exercise as Puck Daddy writer, Greg Wyshynski, was compiling the Top Five Ways You'd Change The NHL. I wasn't invited as a guest writer for that series, but I did get linked back to Puck Daddy as my re-alignment idea was celebrated. August 31 had me address some of the comments left by readers, and some very good comments were made. August 29 was a day where I questioned the expansion cousins in Ottawa and Tampa Bay as they individually were trying to self-destruct their own teams. Of course, both teams are at the bottom of the Eastern Conference standings right now, so it appears I was on the right line of thinking with this one. September 3 saw me critique Reebok's jersey designs for the Champions League in Europe. I still don't like a number of those jerseys. September 6 saw me look a little deeper in the David Frost saga. This guy is a creep from top to bottom, and he should be locked up. But I'm just Joe Public, and I have no say in the matter. September 8 saw me run down a number of late-round NHL draft picks who turned out to be pretty darn good NHL players. Zetterberg and Nabokov are pretty solid picks after the 200th spot. September 9 was a fun day of introducing everyone to the NHL mascots you see at arenas around the nation. Youppi! is still one of my favorite mascots of all-time. 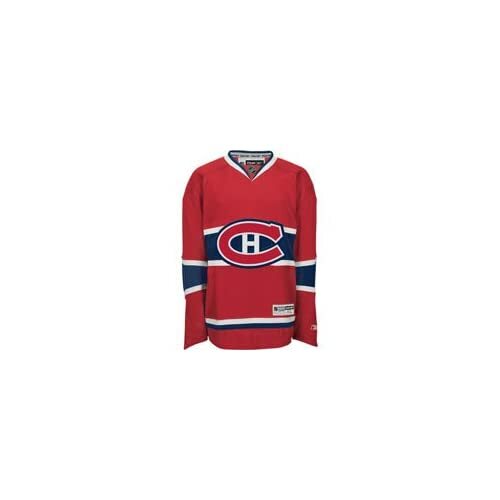 September 10 was the introduction of the new Carolina Hurricanes alternate jersey. I wasn't impressed then, and I'm still not impressed today. September 12 saw me treat the HBIC Playoff Pool winner, Justin St. Louis, to a night on the town at the Amadeus Steen Foundation Charity Benefit. Great times had by all, and we got to meet a ton of hockey stars. September 14 saw another team introduces an alternate jerseys as Boston showed off their new designs, we get sneak peek at Buffalo. I'm not convinced Boston is a good idea, and what is up with Buffalo's ridiculous piping issues? September 22 was the official unveiling of Buffalo's design, and St. Louis joined in on the alternate scene. I like St. Louis' design, but Buffalo just doesn't cut it. September 23 had me looking at some of the older arenas, as well as some that no longer stand. As you may know, I'm a big hockey history buff, so these kinds of articles are fun to write. September 25 was a short post, but the commercial featuring Minnesota Wild forward Andrew Brunette still cracks me up. "That's Engebretson!" Hilarious. October 6 had the CBC present the finalists for the new hockey theme song for Hockey Night In Canada. One of the the five finalists would be the new "hockey anthem" on the CBC's flagship sports program. October 9 had the two finalists narrowed down from the five who made the cut. 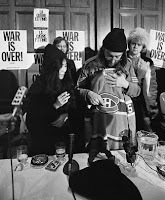 October 11 saw "Canadian Gold" emerge as the winner of the anthem contest. October 8 saw three more teams jump on the alternate uniform bandwagon. Edmonton has a great look, Toronto is wearing their throwbacks, and Atlanta is simply out to lunch. No idea who designed their alternates, but the person is probably unemployed at this point. October 13 saw the loss of another young hockey player as KHL star and New York Rangers prospect Alexei Cherepanov collapsed on the Avangard Omsk bench and died. The hockey world mourned his death, but it was only the beginning of an investigation into his premature death. Rest in peace, Alexei. You were a star in your short 19 years on this earth. October 22 saw me run through the KHL standings, and which teams were doing well. I'm very impressed with Ray Emery's transformation into a big-time goaltender over there with no side effects. This article gets a ton of hits for some reason. October 23 saw another appearance by Dave Shoalts on my blog. Shoalts floated the idea of Toronto obtaining a second NHL team, and I have my thoughts on this idea. Namely, in one word, NO. October 26 allowed us our first looks at what the Red Wings and Blackhawks will be wearing on the ice at Wrigley Field for the 2009 Winter Classic. But why are the jerseys so damned expensive?!? October 28 had the Islanders break out their new alternate jerseys. I have to say that I do like the throwback jerseys. I really would have loved it had they brought back the Fisherman jersey. One can dream, can't he? 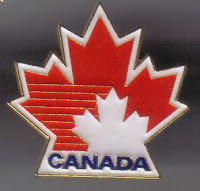 November 5 saw the IOC tell Canada that the Hockey Canada logo will not be permitted at the 2010 Vancouver Olympic Games. I try to come up with possible solutions for Canada's clothing problem. November 6 had the Chicago Blackhawks and Pittsburgh Penguins dressed in new clothes. The Penguins look fabulous while the Blackhawks went back to black. 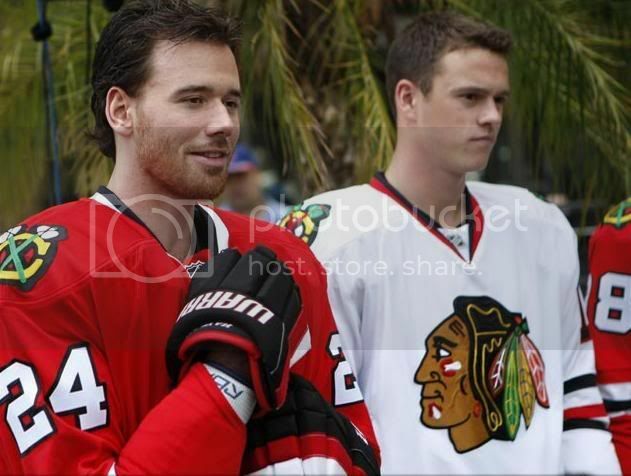 The Blackhawks black uniform is my least favorite of the three they wear. November 8 called for more criticism thrown at the Tampa Bay Lightning and their dysfunctional front office. I don't know how no one has burned the building down yet. November 9 saw hockey history made in Lake Placid, NY as the women from Team Sweden defeated the Canadian women for the first time in history. For all the nay-sayers about women's hockey, this is why it's important to grow and nurture the game. Sweden is an emerging power. 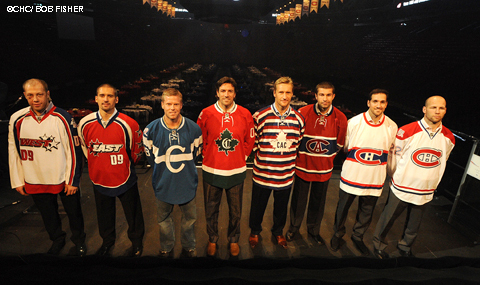 November 14 saw the introduction of the Vancouver Canucks' alternate jerseys. 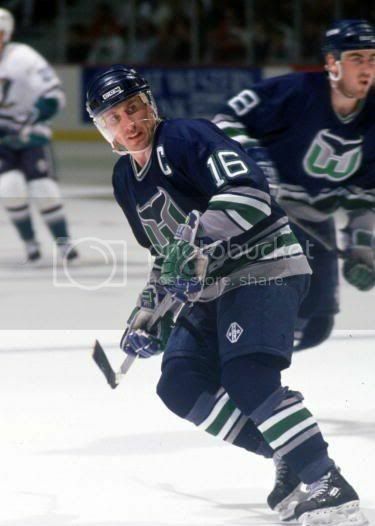 The return of Johnny Canuck was a fabulous addition, and it really gives these jerseys a historical feeling. November 15 had me re-open the debate of no-touch icing thanks to Don Cherry's commentary on Coach's Corner. Why is this something that the NHL won't adopt? November 19 had me preview the new alternate jerseys presented by Dallas and Philadelphia. Philly in orange feels so right. Dallas' design team seems to have gotten the project wrong since their alternates look like road jerseys. November 21 saw me take major heat on The NHL Arena forum from San Jose fans after I hammered the Sharks for their BlackArmor alternate jersey. A sellout is a sellout is a sellout. There's no way I can get past the fact that they sold out an entire set of uniforms to help Seagate sell a few units. November 22 had me rip on the Ottawa Senators for their atrocious alternate jersey. The words "epic fail" could be used in this case with no problem. November 23 had the Los Angeles Kings appear in their new alternate jerseys. I'm not as harsh towards them as I am with the Senators or Sharks, but there's really nothing to be overly impressed with either. November 24 had Tampa Bay and Phoenix bring out their new wardrobes, and failures are seen. Oh, and I respond to the venom from the San Jose Sharks fans on The NHL Arena forum. November 27 had me examining the purpose of the bodycheck, and how the focus has been shifted from separating player from puck to intending to deliver pain. I still think this needs to be taught at the grassroots level properly. November 28 had me catching up with the Canadian Sledge Hockey team, and their most recent gold medal achievement at the World Sledge Hockey Championship in Charlottetown, Prince Edward Island. Congratulations to the Canadian Sledge Hockey team on their gold medal standard! November 29 saw Brian Burke sit in the big chair at the ACC in Toronto as he assumed the General Manager and VP of Hockey Operations position with the Maple Leafs. Burke is the right guy for the Leafs, but he's going to need time to right the ship. November 30 had me talking to Uni Watch Blog's Phil Hecken about the greatest hockey team that no one has ever heard of. The Preston Rivulettes were a dominant women's team in the 1920s, and theirs is a story that needs to be told. I'm glad I could do that. Thanks for your help, Phil! December 3 was a good news-bad news day. Stefan Legein announced his return to hockey as he rediscovered his passion, but that was overshadowed by Sean Avery running his mouth in Calgary and saying some disgusting things. December 7 saw me profile a pioneer in the game of hockey. Manon Rhéaume hadn't been heard of for a long time since she suited up for the IHL's Atlanta Knights on December 13, 1992, and I was happy to post some updates on her career and life. I've always been a Rhéaume fan, and she certainly is doing some excellent work both on and off the ice today. December 9 saw my anger over the minutely updates on the Mats Sundin free agency saga bubble over. The NHL Arena Maple Leaf fans had some issue with this, particularly one gentleman who labeled me as a bigot. I rise the ire of fans once again with my words. December 12 saw the biggest day in Brett Leonhardt's hockey life come to fruition. Brett was signed to an amateur tryout contract by the Washington Capitals to play as the backup goalie that night against Montreal. Cool story, indeed. December 18 had me gearing up for Christmas, as well as the World Junior Championships and the Spengler Cup. I love that time of year simply due to the amount of hockey available on television. December 20 and 21 had me working on another collaboration with Uni Watch Blog's Phil Hecken. 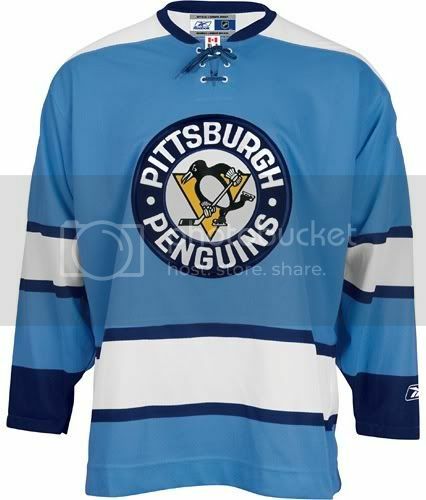 Phil had gathered the votes from the hockey fans on the Uni Watch Blog and we went about ranking the NHL alternate jerseys from 1-19. Part One is here, and Part Two is here. So there are the major stories from the past year that have appeared on this blog. Despite whether you agree or disagree with me on any of these items, any discussion about hockey is good because we're all passionate. We wouldn't be here if we weren't, right? Enjoy the Winter Classic tomorrow. I'll have a piece up about it tomorrow. Happy New Year to all the readers of Hockey Blog In Canada, and thank you for stopping by to read anything I have written. All the best to you and yours in 2009, and may everyone find health and happiness. Until 2009, keep your sticks on the ice! It's been a long year. Longer for some due to their antics, but it's been a fairly good year overall on the hockey front. We've seen masterful performances from individuals, championship dreams for teams, and accolades handed out all over the place. We've seen failures, firings, and fall-outs which have made for exceptional news stories. However, the more you look at the last year in the world of hockey, the good almost always outweighs the bad. Today and tomorrow, I plan on looking at the last 12 months of hockey on a month-by-month basis in order to provide some reflection on what I've said about hockey and what has been said and done in hockey. I'm quite certain there are things that we've forgotten about in the short-term, but Part One of the Year-In-Review should remind of us of things that happened between January and June of 2008. We started January off with a phenomenal hockey game that took place in Buffalo, New York. The NHL Winter Classic was a phenomenal marketing success for the NHL, and the Pittsburgh Penguins and Buffalo Sabres put on a fantastic show. A Sidney Crosby shootout goal won the game for the Penguins, but there is no denying that the NHL was a winner on January 1, 2008. Saturday, January 5 saw Canada sitting atop the podium after having won the 2008 IIHF World Junior Championships over Sweden in Pardubice, Czech Republic. Canada found some adversity along the way as they had lost to Sweden earlier in the tournament, but the Canadians were hungry for their fourth-straight gold medal, and they brought it home via a Matthew Halischuk overtime goal. A fabulous tournament for both the Swedish and Canadian teams, and both are expected to challenge for the gold medal in 2009 in Ottawa. January 8 saw ESPN's Scott Burnside question the American public as to why the passion for the Under-20 in America is nowhere near the level of support that the Canadian Under-20 team receives. He pointed out that with the next four World Junior Championships on North American soil, there should be no other time like the present for Americans to rally behind the best young, American hockey players. A very well-written article by Burnside, and I add my thoughts as well. January 14 saw the Leafs move away from hiring NHL legend Scotty Bowman as the man to run the hockey show in The Big Smoke. I question this move, and condemn the Leafs to purgatory for the next millennium until MLSE relinquishes their absolute control. January 19 saw the passing of a broadcasting legend as Don Wittman finally succumbed to his battle with cancer at the age of 71. Mr. Wittman will never be forgotten for his voice and his passion for all sports, including hockey. Rest in peace, Mr. Wittman, for all eternity. January 22 saw the Maple Leafs fire John Ferguson Jr., and replace him with Cliff Fletcher. The purging of the wasted space begins soon thereafter as Fletcher begins to reshape the roster. January 29 saw the Ray Emery fiasco in Ottawa become a little more unraveled as the goaltender showed up late to practice after the All-Star Break. Emery explained that he was late because he thought the practice was at Nassau Coliseum, but he was not welcome on the ice. After a tantrum and an apology, eyebrows were once again raised in Senators' dressing room. February 6 sees the Peter Forsberg sweepstakes begin. I make a bold prediction that whoever signs Forsberg will not win the Stanley Cup. I wait months to find out if I am right. February 10 saw me brave the elements to travel to Winkler, Manitoba for Hockey Day In Canada 2008. I had a blast, and I definitely recommend anyone who can go to one to spend their day at Hockey Day In Canada. It's well-worth the effort. February 11 was a terrifying day in Richard Zednik's life as his neck was sliced open by a skate. Everyone in the hockey world held their collective breath in awaiting word on Zednik's injury. February 18 saw me in shock over the OHL's Oshawa Generals announcing that they would retire Eric Lindros' jersey before they retired Bobby Orr's jersey. I'm still a little ticked about this today. However, Orr's jersey was hoisted to the rafter, so the injustice has been fixed. February 19 was another day of mourning as I took some time to honour young Mickey Renaud of the OHL's Windsor Spitfires. Renaud passed away at the tender age of 19. You will always be remembered on this blog, Mickey. Rest in peace, young man. February 21 saw the AHL's Manitoba Moose defeat the Chicago Wolves in overtime by a 2-1 score. While this isn't anything out of the ordinary, the goal scorer was. The game winner was scored by Moose goaltender Drew MacIntyre. February 26 was the NHL Trade Deadline, and there were a number of players who swapped team colours and addresses. I give my thoughts on each teams' moves. March 4 saw me introduce you to the show-stopper in the NHL shootout last season. Mathieu Garon was 10-0 in the shootout to that point, and was absolutely lights out for Edmonton. March 6 had me examining the importance of making visors and neck guards mandatory in the NHL. I still don't understand why this is such a bone of contention with the NHLPA. March 10 had me poking a little fun at Nicklas Backstrom of the Washington Capitals. Derek Zoolander wasn't nearly the playmaker that Backstrom is, though. March 11 saw the McGill Marlets win the CIS Women's Hockey Championship over the Wilfred Laurier Golden Hawks, led by Canadian Olympian Charline Labonté. The Martlets are the equivalent of the NCAA Champs. March 12 was the day that Dan Cloutier challenged the Los Angeles Kings after an interview in the Vancouver Sun. It was also the start of a war of words between Carla Muller and myself. Thankfully, cooler heads prevailed, and I am still a fan of her work. March 15 had me talking about neck guards and visors again. This time, however, the major sports media outlets joined in the battle. March 16 saw me examine StompGate 2008 in the differing suspensions handed out to Chris Simon and Chris Pronger. I'm still convinced Pronger should have gotten a minimum of 15 games. March 20 was my piece on no-touch icing in the NHL after Minnesota Wild defenceman Kurtis Foster was seriously injured during a race for an iced puck. Foster broke his leg, and hasn't played since. Anyone else for no-touch icing? March 23 saw a brutal brawl in the QMJHL that had Jonathan Roy put an exclamation point on the entire ordeal by pummeling Bobby Nadeau. My commentary on the debacle was picked up by Radio-Canada, the French CBC, and posted on their website. 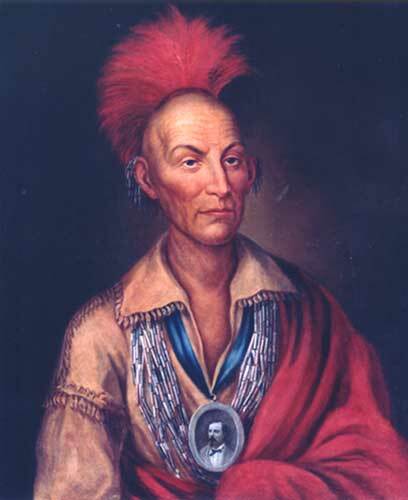 March 26 had the fallout from the vicious attack by Roy. March 25 saw the Men's Championship in the CIS won by the Alberta Golden Bears after they defeated the University of New Brunswick Varsity Reds. April 4 had me examining the sharp decline of the Ottawa Senators. While it would be easy to blame the problems exclusively on Ray Emery, this team has been in a funk since the 2008 All-Star Game, and it continues today. April 5 had me running down the action at the NCAA Women's Frozen Four in Duluth, Minnesota. A huge congratulations goes out to the University of Minnesota-Duluth who emerged as the queens of the castle in winning the 2008 Frozen Four tournament. April 10 saw me run down the action from the opening night of the 2008 NHL Stanley Cup Playoffs. It must be said: the NHL Playoffs is the greatest tournament on the face of the Earth. April 20 had me drawing parallels between the movie Se7en and the seven-game series between the Boston Bruins and Montreal Canadiens. This was honestly one of the best series in last year's playoffs. April 28 saw the New York media accusing Sidney Crosby of diving in a war of words as the Rangers prepared to take on the Penguins in The Big Apple. Despite being ridiculously outplayed, it was apparently Crosby's diving that caused the Rangers to lose. May 3 saw me take a look at some of the lesser known countries playing in the IIHF tournaments. There are some names in that article who are good NHL players, so there are definitely some countries out there producing elite players. May 8 had me dig a little deeper into one country's hockey program as I profiled Norway after they threw a scare into Canada at the IIHF World Championships. Norway is starting to match the talent level of their Scandinavian neighbours. May 16 saw me profile the teams participating in the CHL's Memorial Cup. This is another phenomenal tournament, and I really like the hockey played in the Canadian Hockey League. There is no shortage of passion in this tournament. May 19 had me preview the Stanley Cup Final between the Detroit Red Wings and the Pittsburgh Penguins. A great series was about to begin. May 26 saw me congratulate the WHL's Spokane Chiefs for their accomplishment in winning the 2008 CHL Memorial Cup. One of the best teams all season long, and they turned that into a championship season. May 29 was a day of happiness and mourning. The NHL announced that the 2009 Winter Classic would be played at Wrigley Field or Soldier Field in Chicago with the Blackhawks and Red Wings participating. On the other hand, Luc Bourdon tragically passed away in a motorcycle accident that morning. Rest in peace, Luc. May 31 had a mainstream media writer in Dave Shoalts take pot-shots at Mario Lemieux, so I fire a few back at him. Hey, you don't rip on an NHL legend unless he deserves it. June 4 had Tiger Woods in the crosshairs of a few NHL writers. His careless remark about nobody watching hockey raised the ire of a number of hockey scribes. June 6 was a day of celebration for the Detroit Red Wings and their fans. After six hard-fought games, the Wings had won another Stanley Cup. Congratulations to the Detroit Red Wings! June 7 was the announcement of Hockey Blog In Canada's summer project. And this summer project got a lot of rave reviews around the web. HBIC committed itself to examining all the of the charitable work that NHL players do in conjunction with the NHLPA. June 10 saw CTV buy the rights to the Hockey Song anthem that was made so popular by the CBC's Hockey Night In Canada. Outrage amongst Canadians was felt by the CBC, but it would soon die off. June 17 saw four people inducted to the Hockey Hall of Fame: Igor Larionov, Glenn Anderson, Ed Chynoweth, and Ray Scapinello. All of these men are deserving of this prestigious accolade. Congratulations to these four men! June 18 saw me take issue with Eklund, the anonymous hockey blogger. I still can't believe that this guy was considered a "top blogger" and hockey source. What a joke. June 22 had me discussing who I thought were the winners and losers on NHL Draft Day. I am still impressed with the stable of young talent that Kings' GM Dean Lombardi has acquired. There is a pile of news to look at in the next six months, and it starts with July 1 - free agency day. We'll tackle that tomorrow. There's a quick look back at the first six months of 2008 and some of the news stories tackled on this site. Until tomorrow, keep your sticks on the ice! You have to love the Associated Press. 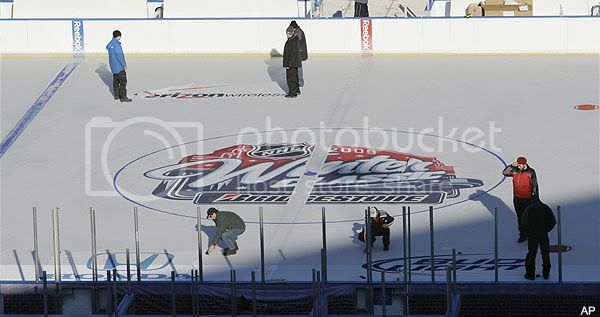 Not only do they snap a fabulous photo of the crew working on the ice at Wrigley Field, but they also manage to catch five of the major sponsors of the event in this photo. While I realize that this game presents a ton of opportunities to generate revenue for the NHL, why can't this game be about the game instead of about dollars and cents? And while I'm sure no else is going to complain about the massive Winter Classic logo in the middle, was it really necessary to emblazon it with Bridgestone? C'mon, NHL. You're better than this. Or at least I thought you were. The news surrounding Alexei Cherepanov's death just keeps getting worse. Russian investigators released a report today that states that Alexei Cherepanov was using performance-enhancing drugs "for several months". If this is true, this is a giant black mark on the KHL and its teams. Obviously, the training staff at Avangard Omsk had to have known about this. If they claim they didn't, they're either blind or lying. And if they did know about it, that would make them part of the problem. Something stinks here. Personally, I feel bad for the Cherepanov family and his friends. This just opens an already festering wound once again. More information is needed, and someone needs to break this story wide open so we can put these allegations behind us and mourn the loss of a fantastic, young hockey player. If you happen to be on the road in Washington, you better come prepared to play. The Washington Capitals are an incredible 15-1-1 this season on home ice. While their 8-10-2 away from the Verizon Centre is nothing to be proud of, winning at home will continue to bring the fans out, and that's good for business. Not to be outdone, the team ahead of them in the Eastern Conference standings - the Boston Bruins - are an impressive 13-1-1 at home. To give you an idea of how good that is, Boston would have 27 points on the season if they had lost every game on the road thus far. That would still put them one point ahead of the New York Islanders, and one point behind the Atlanta Thrashers for the season. San Jose still holds the standard for a home record this season. The 18-0-2 Sharks have not lost in regulation at the Shark Tank yet, and they have also compiled a pretty good road record in their 10-4-2 mark. They're currently two points ahead of Boston for the best record in the league. Phil Hecken, of the fantastic Uni Watch Blog, has asked me for some thoughts on the Winter Classic, so I'll be contributing on that front as well. I'll cross-post the excellent piece here, and I hope a few of you will check in here and over at UW Central. WJC News: Canada defeats Germany 5-1; Sweden bombed Latvia 10-1. Last night's results included a 15-0 win for Canada over Kazakhstan; Russia defeating Finland 5-2; Sweden defeating Slovakia 3-1; and the USA defeating the Czech Republic by a 4-3 score. Spengler Cup News: Canada defeated ERC Ingolstadt of Germany 5-2 today. Dynamo Moscow of the KHL continues to roll as they blew past ERC Ingolstadt 7-1 yesterday. It appears that these two teams might meet for the Spengler Cup Championship if they continue their winning ways. However, Canada meets the Russian squad tomorrow at 9am EST time with huge results for the standings. If Canada loses and HC Davos wins, Davos advances to the final against Dynamo Moscow. Any combination of a Canada win or a Davos loss will mean that Canada advances to the final against Dynamo Moscow. Davos plays the 0-3 ERC Ingolstadt tomorrow. Moscow guaranteed themselves a place in the finals with a 4-3 win over Energie Karlovy Vary of the Czech Republic today. Ok, so there's some hockey updates for today. I just got home from a couple of hockey games of my own, and we were winners in both games so all is good here. We have another game Friday, so my New Year's Day will be spent relaxing in front of the TV, watching people huddle in the confines of Wrigley Field while the Blackhawks and Red Wings do battle for the 701st time in the NHL's history. There were a few NCAA Bowl games on yesterday across the old, flickering television set, but there were a number of hockey games on yesterday, proving that hockey is viable as a television presentation... at least in Canada. The Davos-Canada game from the Spengler Cup was an incredible game with late goals, furious action, and momentum swings all over the place. The Montreal-Pittsburgh game shown on Hockey Night In Canada was another great game, and it was followed by more Ottawa Senators' heartbreak in their game versus Calgary. If you have the NHL Network, you're getting a healthy dose of the World Junior Championships as well. Let's run through a few of the games from various leagues last night. The game between HC Davos against Canada at the Spengler Cup was one for the highlight reel. Canada trailed 3-0 after the first period and 4-3 after two periods. The last seven minutes of the third period, however, will have people talking about this game for a while. Serge Aubin tied the game up at a 4-4 score with a goal in a scramble around the net. With 1:35 left, Andres Ambühl scored his second of the game to give Davos a 5-4 lead, and the potential win. However, a Janne Niinimaa flub on a pass allowed Hnat Domenichelli to sweep a puck behind Leonardo Genoni - who played an outstanding game in net for Davos - to tie the game at 5-5 with 38 seconds remaining. Overtime solved nothing, so the teams went to a shootout, and the only goal scored was by Davos' John Pohl to give the Swiss side the extra point. Travis Scott, who was the goaltender for Canada, looked extremely shaky all night, and really didn't give me much confidence in his play. I'm not sure of his stats with Austria's Klagenfurt AC, but he did go 13-6 with a 2.13 GAA last season with the Cologne Sharks of the German Elite League. However, there were at least two goals where I'm sure he'd like to have them back. In a short tournament, that kind of goaltending will kill you. I expect Hershey's Daren Machesney to be back in net against Germany's ERC Ingolstadt tomorrow. Yesterday was a light day at the World Junior Championships, but there wasn't anything light about the scores. Slovakia blew out Latvia by a 7-2 score, and Germany hammered Kazakhstan 9-0. Both Latvia and Kazakhstan need some help as they have been dominated on the scoreboard in every game thus far. Both teams have played well, but their opposition is just at a higher level of skill. Just to let you know, I still can't get used to the names of the Swedish players being posted across their rear ends. As gorgeous as the Tre Kronor uniform is, that's definitely a drawback in getting a new Sweden jersey customized. One of the best players ever produced by the country of Belarus ran roughshod on the Pittsburgh Penguins last night. Andrei Kostitsyn scored all three goals in Montreal's 3-2 victory over the Pittsburgh Penguins last night, giving the Belarussian forward his first career hat trick. Carey Price played well, and the Canadiens look like they might be getting ready to make a run in the standings. While they have a long way to go in catching the Boston Bruins, last night was a good start against another solid team. Speaking of Boston, they defeated the Hurricanes by a 4-2 score last night. Despite them missing Patrice Bergeron and Aaron Ward, the Bruins continue to roll. Blake Wheeler, David Krejci, and Milan Lucic might be some of the best youngsters in the game this year, and Marc Savard is having another phenomenal year. Combine that with the resurgeance of Manny Fernandez and the inspired play of Tim Thomas in the Boston nets, and this team appears to be the odds-on favorite for a trip to the Stanley Cup Finals from the East. My vote for the Calder Trophy this year is going to Steve Mason of the Columbus Blue Jackets. He's 10-7-1 this season for a weak Blue Jackets team, and he's posted an incredible three shutouts including one last night in Columbus' 3-0 win over Philadelphia. While Columbus needs some help in the scoring and defensive departments, they have two excellent goaltenders in Pascal Leclaire and the improving Steve Mason. Steven Stamkos scored his fifth goal of the season last night in Tampa Bay's 6-4 win over their cross-state rivals in the Florida Panthers. I still think he should be wearing the red-and-white at this year's World Junior Championships, but that's just my opinion. The worst team in the Western Conference in St. Louis battled the best team in the Western Conference, the San Jose Sharks, to a 3-2 shootout win last night. On any given night, anyone can beat anyone, and San Jose needs to keep their intensity high when playing a weaker opponent. This might be one of the few cracks in the BlackArmor we've seen in San Jose this year. I'm not even going to talk about Ottawa's secondary scoring issues. That team is in some severe disarray, and it appears that Craig Hartsburg is running out of options. GM Bryan Murray needs to strip that team down, and start building it up again. While Alfredsson, Heatley, Auld, and Volchenkov would be the only players I wouldn't move, there is something significantly wrong with the Senators, and it's time for something to happen. The ECHL's game between the Elmira Jackals and Johnstown Chiefs was rescheduled from last night to today due to "unsafe ice conditions". With the weather report in Chicago for New Year's Day calling for near-freezing temperatures and the possibility of sleet, do you think the NHL will consider the safety of its players over the value of the almighty dollar? Yeah, I think not. Canada is currently leading Kazakhstan at the World Junior Championships by a 2-0 score, so I'm heading back to the TV to watch. Hockey needs more TV time, and it reminds me of the days of yore when the USA Network would show the NHL. At least the Winter Classic will be nationally broadcast all over North America. That's a start... unless the game is cancelled due to the weather. And that will plunge the NHL right back into the Dark Ages. If you're a hockey fan in Canada, you had to love yesterday. Rogers' Sportsnet showed the Spengler Cup action in the afternoon between Team Canada and Energie Karlovy Vary while TSN had the World Junior Championship Game between Team USA and Team Germany. That was followed by TSN's presentation of Team Canada and the Czech Republic, so it was pretty much all hockey on my television yesterday. And, of course, there was just enough time between the two World Junior games for me to get another round of Christmas dinner leftovers in, and that's always important. If you love hockey, this might be one of the best times of the year. Let's start with the guys who are overseas. This was a great game for Team Canada in the Spengler Cup, and certainly one that from which they can build a lot of confidence. I thought the Canadians got great goaltending from the Hershey Bears' Daren Machesney, and there were several key contributions. The powerplay units recorded three goals, and a few former NHLers led the way. The game was dominated by Karlovy Vary in the first period as they outshot Team Canada 14-3. The Canadians, however, weathered the storm, and really picked up the tempo in the second period. Former Canuck, Oiler, and Senator Brad Isbister, who plays for Zug in the Swiss League, broke the scoreless tie at the 8:56 mark of the second period on the powerplay when he fired a shot high glove-side on Karlovy Vary goaltender Lukas Mensator. Lukas Pech tied the game up at the 12:56 mark of the second period as he picked up his own rebound and fired it past Machesney. However, the Czech team ran into penalty problems shortly after that goal, giving Canada almost four minutes of 5-on-3 powerplay time. The Canadians didn't waste the opportunities. Micki Dupont, who plays for Zug in the Swiss League, teed up a blast from the point on the 5-on-3, and rocketed the puck past Mensator. The former Flame, Penguin, and Blue really looked good in quarterbacking the powerplay, and he was rewarded for his work with a goal to give Canada the lead. On the continued powerplay, the Canadians struck again during the 5-on-4 advantage. Jean-Guy Trudel, who plays for Zurich in the Swiss League, was the recipient of a fabulous tip pass from former NHLer Dominic Pittis and had a yawning cage to look at. Trudel made no mistake, and gave the Canadians a 3-1 lead. Trudel, who played four NHL games total for Phoenix and Minnesota, had a strong game, and it's nice to see a guy get a big goal after playing well. Both teams traded chances in the third period, but neither capitalized. Team Canada defeated Energie Karlovy Vary to open the Spengler Cup, and they'll play HC Davos, the home team, today in both teams' second games. Davos lost yesterday to Russia's Dynamo Moscow by a 4-1 score, so I assume they'll come out hungry in today's game. In the early game today, Energie Karlovy Vary defeated Germany's ERC Ingolstadt by a 5-2 score, evening their record at 1-1. Good luck in your game against Davos, Team Canada! At the World Junior Championships in Ottawa, Team Canada squared off against the Czech Republic. It was expected that the Czechs would end up in the middle of the pack at this year's World Junior tournament, so it would be interesting to see how Canada would fare against one of the decent teams in the tournament. The first thing that should be noted is that Team Canada was wearing a small sticker on the back of their helmets with the initials "LB" on them. Luc Bourdon, who was tragically killed in a motorcycle accident this past summer, won two gold medals with Team Canada, and was a key part of the team's defensive unit. No player on Canada will wear #6 as a tribute to Bourdon's contributions to the Under-20 program, and I think that's a classy move by Hockey Canada. The Canadian squad peppered Czech goalie Tomas Vosvrda with nine shots in the opening 19 minutes, but couldn't solve the athletic goaltender. The Czechs had a few chances in the Canadian end, but Dustin Tokarski stood tall stopping all four shots he faced. With time winding down in the first period, Milan Doczy was whistled for holding at the 19:38 mark, sending Canada to the powerplay. Canada, in the four pre-tournament games, was lethal on the powerplay, led by John Tavares' four PP goals. Tavares seems to have something for the Czechs because he opened last season's tournament with two goals against them. In keeping with tradition, Tavares struck before the end of the first period with a laser to the back of the net from the slot on a great pass from Jordan Eberle. Canada would enter the break up 1-0. For those of you who have played hockey, you know how deflating a last-minute goal in a period is. Your lungs and legs are burning, and you're looking forward to getting to the dressing room. The Czechs surrendered that Tavares goal at the 19:56 mark, and it appears that it took any positive momentum directly out of their room. Canada scored four more goals in the second period - Tavares's second powerplay goal at 2:09; Angelo Esposito on a phenomenal setup from Tavares at 7:08; Ryan Ellis at 8:13; and Tyler Ennis at 13:33. The Ennis goal ended Vosvrda's night as Domink Furch came in to tend the nets. The Czechs had a couple of great chances, most notably Vladimir Ruzicka, but Tokarski turned away all nine shots to stake Canada to a 5-0 lead as they headed into the third period. Canada continued rolling as Chris Di Domenico, Zach Boychuk, and Alex Pietrangelo put Canada up 8-0 by the 12-minute mark of the third period. Had it not been for Dustin Tokarski's wandering, he would have shutout the Czechs. Instead, he lost sight of the puck during an attempted clear, and Jan Kana broke the shutout. If there was any question as to Canada's play, it was silenced with slick passing and constant bodychecking. One concern, however, has to be the health of forward Stefan Della Rovere. He left yesterday's game after blocking a shot and was really labouring to get to the bench. There has been no update as to if he is suffering an injury or what kind, but he has today to rest as Canada doesn't play until tomorrow against Kazakhstan. As a bonus, Team USA looked spectacular as they battled Germany. As I said in my preview on yesterday, "[t]he Americans have to focus on a solid transition game that starts with a good breakout pass", and they got burned a couple of times by the Germans who intercepted a long cross-ice pass and brought it back on an odd-man rush. It only took a period, but the Americans changed their breakout game after it was 2-1, and really started hammering the Germans. If I'm Jim Rutherford of the Carolina Hurricanes, I'm extremely excited over possibly having both Zach Boychuk and Drayson Bowman in my lineup next year. Bowman had speed to kill, and his hands are extremely gifted. I was very impressed with his performance on the ice yesterday, and it appears he could be one of the "must-see" players in this tournament. Jordan Schroeder, the 2009 draft-eligible forward for Team USA, was also impressive. While not a standout as much as Tavares was in the Canada game, the forward from the University of Minnesota has a laser for a shot and could be one of the better finishers at this tournament. If I'm an NHL team with the third or fourth pick, Schroeder would rank high on my list of draftees. He might be small, but he plays bigger than he stands. Team USA's next game is against the Czech Republic, and they should be able to match Canada's result. The Czechs don't play physical enough, and the Americans are bigger than the Canadians in terms of overall size. After their 8-2 win against the Germans, Team USA has all the confidence in the world going into this game. Great games to open the tournament. Sweden and Russia both won in Pool B, defeating Finland and Latvia respectively, so all of the elite teams posted a win on their first days. Team Canada is doing well at the Spengler Cup, so all is good on the international scene for Canada! Tonight in Ottawa, Team Canada takes to the ice versus the Czech Republic as they look to defend the championship won last year, and continue Canada's winning ways at the World Junior Championships as they strive for their fifth-straight tournament Championship win. This, of course, makes them the target of all the teams at this year's World Junior Championship, and there are definitely a couple of teams who have a very good shot at ending the Canadian dream. Let's take a look at each team who is participating, and their chances of reaching the podium. I'll run through the teams in reverse order of how I think they will finish. Kazakhstan: The Kazakhstan team comes into the tournament as immense underdogs in every game that they'll suit up for. They have no immediate stars, but it's hard to judge who will stand out on this team as so little is known about the players attending the tournament. Last season, the Kazakhstani team avoided relegation by defeating Denmark and Switzerland - huge moral victories and confidence builders in their program. The one player that scouts may want to Nikita Ivanov. The 6'4" forward is the biggest player on the Kazakhstani roster, and was born in 1989. He should be able to use his size and his experience playing for Russian club Krylia Sovetov Moscow against some of the smaller teams, but he will need help to propel the Kazakhstan team to greater heights. As always, goaltending and scoring will be a question mark against the elite teams, but this team may find itself on the wrong side of the ledger against mid-level teams like Slovakia and Germany if they don't have a strong game in their defensive zone. As much as I hate to say it, the Kazakhstani team appears to be a relegation team unless they pull off an upset or two. Latvia: Latvia is in the deep Pool B with the Swedes, Russians, Czechs, and Slovaks, and they'll need some help in this tournament. They have no stars on paper, but they do have one North American-trained player on their roster who might be able to help them out. Latvia appears to be in tough, but sometimes you have to win with effort rather than winning with skill. The one player that has experience playing in North America is forward Edgars Lipsbergs. Lipsbergs plays in the NAHL for the Topeka Roadrunners, and has two goals and four assists in 20 games thus far this season. He is a +6 on the season, showing that he isn't a defensive liability either. Lipsbergs will have to convert for Latvia, and hope that others convert their chances for Latvia to survive. Overall, this team has a large number of players born in 1989, so they'll need a strong showing to finish in the top eight teams. Otherwise, there will be a whole new cast playing in the Division-I U20 tournament next season after being relegated. Goaltending will be vitally important for the Latvians, and their blueline has decent size on it to wear down opposing forwards. The only question is whether than can outscore their opponents while holding their goals-against to a minimum. They are still a long way from being an elite team, though. As an example, Team USA hammered Latvia 13-2 in a pre-tournament game. Slovakia: It looks like it could be another disappointing World Junior Championship tournament for the Slovaks. This team has a few North American-trained players, but they looked listless against the Caandians in a pre-tournament game, losing 7-0. If they don't start playing with a little more grit and effort, this will be a long tournament for these kids. One notable player who could be a factor is 6'7" defenceman Juraj Valach. Built in the same mold as Zdeno Chara, the undrafted Valach needs to be physically punishing in his own end while being a go-to-guy on the point on the Slovak powerplay. If he's looking to get an NHL job, he'll have to show more than did in the game against Canada. Jaroslav Janus, who appears to be the Slovakian backup goaltender in the tournament, was shelled for all seven Canadian goals, so starting goaltender Marek Ciliak will have to be a world-beater with his skill. Unfortunately for both players, Slovakia hasn't produced a top-tier goaltender in a long time. The biggest question mark will be between the pipes for this team, and that spells doom in a short tournament, especially if neither goalie is particularly confident. Germany: The Germans come into the tournament with a number of well-trained players. There are a large contingent from the DEL's Eisbaren Berlin team, the top team in the German Elite League, and a handful of players from the Canadian Hockey League. This team will work hard and capitalize on mistakes, but they will need some help if they want to finish in the top-six. Conor Morrison, who plays for the BCHL's Salmon Arm Silverbacks, should be the Germans' scoring threat. He's posted 29 goals and 28 assists in 34 games thus far for the #1-ranked Canadian Junior-A hockey club. Much like Kyle Turris, his training in the BCHL is putting him on the map. The 1989-born junior is undrafted, and should be on many scouts' radars if he continues his strong play at the tournament. Shawinigan Cataractes' goaltender Timo Pielmeier, a San Jose Sharks draft pick in 2007, should give the Germans solid backstopping if he is picked as the starter. The Germans are built strong - four players are 6'4" and seven weigh in over 200 lbs. - and they look to trap and pounce on mistakes as much as possible. The one thing that may hurt Germany is getting behind in a game. The Germans don't have wave after wave of scoring threats like the elite teams do, so they'll need some secondary scoring to go deeper in this tournament. However, they do look fairly strong with all players born in 1989 or 1990 except two, and this experience should help the Germans perform well in this tournament. Finland: Finland is a plucky team who will need to outwork the majority of their opposition in order to have a chance at a medal. However, being stuck in the same division as Sweden and Russia may play against the Finns. If they can pull off an upset or two, the Finns may have a shot at the podium this year. There really is no one who stands out on the Finnish roster as a bonafide scoring threat. Juha Metsola was shelled for seven goals against the Canadians in a pre-tournament game, and really didn't show a lot of moxie as the starting goaltender. This team will have to outwork and play gritty against the more skilled Russians and Swedes to keep their heads above water. It's not impossible for them to upset either of those teams, but they might struggle to put pucks in the net if they tire or start showing wear-and-tear. In preparing for the coming years, however, the Finns brought along 16 year-old Mikael Granlund as part of their roster. I doubt he'll get a lot of playing time, but the experience will be extremely helpful for the youngster's development. Despite Finland's lack of a flashy star, I expect this team to play the same style they always do: up-tempo, lots of hits, and some gritty performances. While I think that they should be better than sixth in this tournament, they may not be able to match the skill levels of the other teams. And if the goaltending isn't up to par, this could set the Finns back a little this year. Czech Republic: The Czechs have a large number of North-American trained players which should help them in this tournament. While they have no immediate standouts on this team, there is a balanced attack up front, and decent skill on the blueline. Goaltending is always a question with the Czech team, so we'll see how they fare versus the Americans and Canadians in Pool A competition. Rudolf Cerveny is a solid forward with 15 points and a +20 rating in 35 games for the Regina Pats. Stepan Novotny is has 18 points in 32 games for the Kelowna Rockets. Radim Valchar has 21 points, but is a brutal -16, in 33 games for the Portland Winter Hawks. Tomas Vincour has 28 points in 35 games for the Edmonton Oil Kings. Balanced scoring? I'd say so. But if they need that late goal, there's no one you can really point to and say "go get us a goal". This team needs to establish a physical game to compete with the big American team and the skillful Canadian team. Without a significant goaltending threat, the Czechs will have to commit to team defence, and that may reduce scoring chances. The Czechs have the skill to upset one of the top four teams, but they'll need to commit to defence and sound fundamental play. A 5-2 victory over the Slovaks in a pre-tournament game should help confidence in their build-up to the game with Canada on December 26. Run-and-gun games will not favour the Czechs in this tournament. Sweden: Despite a lot of people saying that Sweden is a lock for a medal, I have yet to see that determination. Despite some excellent goaltending, they looked overwhelmed by the Canadians in a pre-tournament game that they lost 4-2. If it wasn't for a spectacular goaltending performance by Mark Owuya, who stopped 39 of 43 shots, it could have been a blowout for the red-and-white. This team needs to step up. Victor Hedman, who was the pre-tournament favorite to be the #1 pick in the upcoming NHL Entry Draft, has fallen off in his early showing. He hasn't been the dominant "big man" defenceman that the Swedes need, and he certainly didn't control any part of the game against the Canadians. Hedman will need to work hard, play well fundamentally, and make the players around him better if he hopes to regain the top spot in the pre-draft rankings. The Swedes are relying on him to be a star. Overall, the Swedes have a very strong goaltending tandem in Jacob Markstrom and Mark Owuya. Following in the footsteps of New York Rangers' star Henrik Lundqvist, both goalies look to be very credible and skilled. The Swedes will rely heavily on their strong defensive play and transition game to counter most teams' attacks, and their forwards are skilled bunch. If they can step up their intensity, a medal is definitely within their grasps. Russia: If there is one team who may upend all of these standings, it would be the Russian team. With the loss of Alexei Cherepanov, this team could be disappointing. However, with the addition of Nikita Filatov, this team has legitimate scoring. With the indifferent recent play of the Russian juniors, it's anyone's guess as to where they'll end up. If they play to their potential, though, they're almost certain to bring a medal back to Moscow. Nikita Filatov, the Columbus Blue Jackets' standout youngster, has been performing well with the AHL's Syracuse Crunch, posting seven goals and ten assists in 23 games. Playing against stronger players in the AHL should allow him to elevate his game against junior players, and I expect the play-maker to be in the top-ten for scoring. Viatcheslav Voynov of the AHL's Manchester Monarchs will lead the blueline, and he's another dynamic player for the Russian squad. The majority of the Russian players are playing in the KHL or CHL, and that's good for building their program. There are three major issues that face this team: goaltending, intensity, and toughness. The first is a major cog in the Russians' success, but there is no legitimate star in between the pipes for the Russians. Someone will have to elevate his game for the Russians to be a force. The intensity needs to be ramped up in the Russian dressing room. They defeated Kazakhstan 4-1 in a pre-tournament game, but they certainly have more firepower than four goals against one of the weaker teams. Russia needs to gear up if they want a shot at the medals. Lastly, team toughness will be questioned throughout the whole tournament if they allow teams to push them around. While I'm not suggesting that they cannot hold their own, teams like the Finns, Americans, and Canadians will physically punish the Russians into submission as seen in past tournaments. The Russians need to push back if they want to bring home some hardware this year. USA: The Americans are definitely the biggest roadblock standing in the way of a Canadian dynasty. This team is loaded with scoring, plays well in their own end, and has solid goaltending. This is a team loaded with players from the 1989 birth year, and they are hungry to add a gold medal to their resumés. Where do you start with the standouts? James van Riemsdyk, Colin Wilson, Jonathan Blum, Drayson Bowman, Blake Kessel, Ryan McDonaugh, and Kevin Shattenkirk are all considered top-level prospects for the NHL. There are eight players from the CHL on this team - the most ever in Team USA history. Josh Unice, who plays for the Kitchener Rangers, led his team on a spectacular run last season to the Memorial Cup Finals, and he will be counted on to backstop this team to the podium. There are a number of players from the NCAA on this team, and they know how every win and loss can mean the end of a tournament. This team has size, skill, and speed, and they look to be a force to be reckoned with. The fallback for the Americans will be defensive play. While I'm not suggesting that they won't be good in their own zone, they played a weaker opponent in Latvia and really beat up on them. The Americans have to focus on a solid transition game that starts with a good breakout pass. They have the defencemen to do that in McDonaugh, Shattenkirk, Kessel, and Blum, but they'll have to be accurate when playing Canada, Sweden, or Russia. Otherwise, there might be a lot of odd-man rushes coming back at them. All in all, though, this might be the best team that the Americans have sent to this tournament in some time, and they will be one of the favorites for the gold medal. Canada: Yeah, this might be the "homer" pick, but Canada has looked impressive in their three pre-tournament games, and they might have the best goaltending in the tournament. John Tavares has shown why he is considered one of the best goal scorers at the tournament as well, and it will be a question of finding enough secondary on this team if they want to repeat. Without a doubt, John Tavares, Cody Hodgson, Zach Boychuk, and Jordan Eberle have been the best players on this Canadian squad so far. Defensively, the "shutdown" pairing of Thomas Hickey and Colten Teubert have eliminated the opposition's big line in each of the game. Chet Pickard and Dustin Tokarski battled in a WHL Final last season when the Tri-City Americans met the Spokane Chiefs. The result? A seven-game series in which five games went to overtime and three games went to double-overtime. Again, this might be the best goaltending tandem on paper in the entire tournament. Secondary scoring might be an issue for Canada. Head coach Pat Quinn hasn't found effective linemates for John Tavares yet, and he'll need to get Tavares rolling in five-on-five situations to have an effective one-two punch. Angelo Esposito, Tyler Ennis, Jamie Benn, and Evander Kane will have to find the scoresheet as well, but continue to play in the roles assigned by Quinn. The shutdown centerman in Brett Sonne might be one of the most unsung guys in the tournament, but he'll need to keep some of the most explosive players in check if Canada wants to succeed. There's the quick preview and prediction. Again, anything can happen in this tournament, and it will be interesting to see how the crowd affects Team Canada and their opposition during the games. I'm quite certain that the crowds in Ottawa will be raucous, boisterous, and noisy, and that's always a big advantage for Canadian teams. Enjoy the games, everyone! This year's tournament looks like it's going be a good one! This will just a short wish for everyone as I prepare myself for another fun-filled Christmas day with family and friends. Some of my best memories on Christmas Day come from the family trips to Florida - a long way from the cold, snowy winters in the Great White North. However, the important part was that my parents and brother were with me at Christmas, and that we were having fun together as a family. In the spirit of Christmas and spending time with family, I'd like to present Walt Disney's Donald Duck spending some time on the local pond with his nephews Huey, Duey, and Louie. There's nothing like some pond hockey on a winter day. Merry Christmas to you and yours today, and get ready for some hockey action tomorrow! The first games in both the Spengler Cup and the World Junior Championships start, and I'll have a preview of the World Junior tournament! Well, it's Christmas Eve. It's a time when everyone should be near to all those who are dearest to them, and how "peace on Earth" should be less of a mantra and more of a reality. Except that it's not. Countries from all around the world are engaged in battles in Iraq, Afghanistan, and off the coast of Somalia to name a few places, and all of the men and women involved in these battles are nowhere near their families. In all of these war-ravaged countries, children and parents are affected by the gunfire daily, and the word "peace" is an unknown. This isn't going to become Political Blog In Canada whatsoever, but this entry is a message of hope and thanks. Thank you to the brave men and women who have enlisted in the Armed Forces to protect the very things we hold so dear to our hearts: freedom, happiness, and the right to pursue these things without prejudice. You are the true heroes that we should be honouring, and the fact that you put yourself in grave danger everyday to defend these rights only makes me hope that these conflicts end sooner rather later so you can be with your families again. Thank you for all you do. Thank you to the families of these men and women for being just as courageous in allowing your loved ones to defend these rights without asking when, where, or how. Thank you for having this courage, and for being as strong as your loved ones serving overseas. My heartfelt prayers and hopes go out to each and every one of you that your loved ones will return safe and unharmed, allowing them to continue on their paths to happiness. My thoughts and prayers go out to the 103 families in Canada who will be celebrating Christmas this year with one less person. Since 2002, 103 Canadian soldiers have fallen in Afghanistan, and that's a terrible number in my view. For a country that bases its assistance on missions of peace-keeping, 103 peace-keepers have been lost due to the civil unrest in Afghanistan. To the 103 families affected by these losses, your son or daughter or husband or wife has committed the ultimate sacrifice in defending what's right, and they will not be forgotten for that. Be strong this Christmas, and know that this writer shares in your grief over losing men and women with such bright futures. May they rest in peace for all eternity. To those men and women who have been wounded in the line of duty, you will not be forgotten here either. You have shown the courage and tenacity of a higher level than those who attempted to take your lives, and your bravery deserves recognition. Hold your heads high, ladies and gentlemen, because you are the men and women who make this country proud and are the foundation of all that this country stands for. You are the men and women we should look to when we honour our troops because you also have sacrificed, and I thank you for that. This link contains an entire list of the Canadian men and women who have fallen in Afghanistan. This is a list that commands the utmost respect, and all of Canada should know these names. Read over the list, and note the ages. The oldest person of the fallen soldiers was 46. The youngest was a mere 20 years-old. To my good friend, Lindy, I sincerely hope that your brother returns home soon. Christmas is always a difficult time when family can't be together, and I know you worry about him. 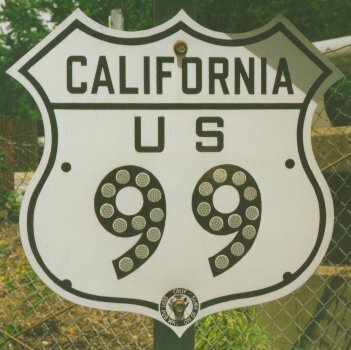 Godspeed, Matt, and get home safe! 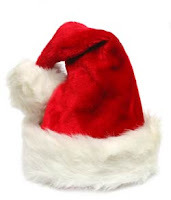 Happy Xmas, everyone. Let's start giving peace a chance so all of us can spend time with our nearest and dearest during this holiday season. And lest we ever forget these men and women. There really is no rhyme nor reason to this entry except that I have a few notes to pass along and a few photos I have yet to use for any purpose. Really, though, it's Christmas, and I don't feel like taking too much time away from my family or the Canada-Slovakia exhibition game tonight. I already have a very serious piece queued up for tomorrow so this will be more of a fun, whimsical effort. For everyone who has stopped by thus far, Merry Christmas or Happy Hanukkah or Happy Kwanzaa or, simply, happy holidays. All the best to you and yours this holiday season, and may there be happiness for everyone on Christmas morning. Let's take a look at some notes and photos. Justin Pogge had himself a fabulous debut yesterday as he won his first NHL regular season game in Toronto's 6-2 victory over the lowly Atlanta Thrashers. Pogge became the first Leafs' goalie to win his first NHL game since Damian Rhodes did it in November of 1991! Pogge has played very well for a struggling Toronto Marlies team in the AHL, and his promotion looks like it might be well-worth the look that GM Brian Burke and head coach Ron Wilson are giving him. For all you fantasy hockey players who want more than just bragging rights at the end of the season, the Pittsburgh Penguins have a game for you. The Pittsburgh Penguins Extra Attacker game is now online in the trial period, and they are offering up some great prizes for playing. The bets part? It's free! Get in on this one - it could be your chance at that Malkin or Crosby autographed jersey you wanted for Christmas. Sunday, December 28 sees the Washington Capitals honour a long-time player and prolific goal scorer in Mike Gartner with a jersey retirement ceremony. Gartner ranks second in Capitals' history with 397 goals, second with 392 assists, and second all-time with 789 points. Gartner's #11 will join Yvon Labre’s #7, Rod Langway’s #5, and Dale Hunter’s #32 in the rafters at The Verizon Centre. All current players will wear special white throwback jerseys with Gartner's name and number on them for the warm-up, and they will change into their current white jerseys for the game against the Leafs, who will wear their blue jerseys - similar to the era that Gartner played in where white was worn at home. Congratulations, Mr. Gartner! For the second time this season, an ECHL franchise has closed its doors. The Fresno Falcons announced that they will cease operations immediately, thrusting the ECHL into a bit of a tailspin. While attendance has dropped by almost 1500 people per game, the Falcons are suggesting that the economy is to blame. However, Victoria Salmon Kings president Dave Dakers thinks otherwise: "I have no sympathy for these guys. They operated and managed things poorly in a hockey market that can be successful and they’ve left the rest of the conference just hanging." The Augusta Lynx were the other team to pull up roots this season, and the Falcons' player not under contract with the AHL's Rockford IceHogs or NHL's Chicago Blackhawks are now free agents. Thanks to some incredible investigative work by WorldNetDaily, we now know there was another Hollywood star who started out as a hockey player. Check out this photo. See anyone you recognize? How about that tall blond in the middle of the back row? 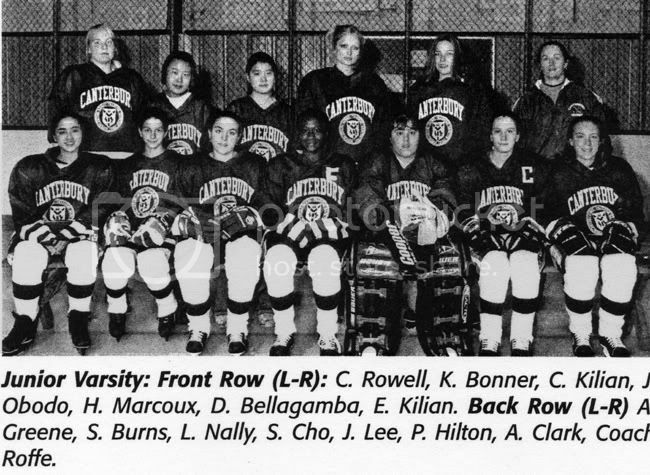 That's Paris Hilton as a 17 year-old hockey player for Canterbury School, a "private college-prep campus" in Connecticut. Fabulous investigative work by WND, and you can read the full story here about Paris' time in Connecticut. A phenomenal resource from the Uni Watch Blog that I've had the pleasure to speak to is a gentleman by the name of Ricko. He and I have discussed a pile of things, but his work with hockey is why I want to speak about him today. He will be featured in an article in the new year, so stay tuned for that. He has a ton of WHA and NHL stories that we'll be exploring. In the meantime, there are a few photos he sent me that you may enjoy, so I will post them in the next few bullet points. Here's another picture of the Los Angeles Kings in their full yellow uniforms. Wow. I've seen some bright uniforms, but wow. Get your sunglasses out for those uniforms. Great photo of the California Golden Seals here. Check out the little details in this picture: green-and-yellow of the North Stars, the #16 on the North Stars player's skates, the white skates of the Golden Seals, and only one helmet being worn on the ice. Great old-time hockey photo! The NHL's Oakland Seals didn't last very long, but Ricko sent me a great magazine shot of what they looked like in action. Charlie Burns' helmet doesn't really match the rest of his jersey, but that blue-and-green has a bit of a Vancouver Canucks feel to it. Another top-notch photo right there. Three great photos from Ricko! How badly do you miss the old teams? You know, the Whalers, the Nordiques, the Jets - those teams who are no longer even known by the new generation of fans. 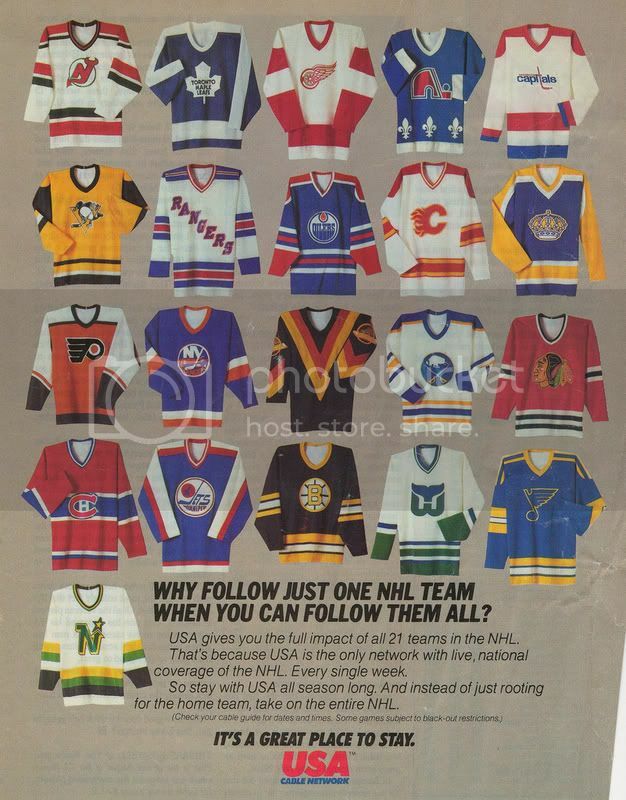 I'd like to see those jerseys make a return to the ice for an event. As the adage says, you never know what you've got until it is gone, and I really miss these looks. Ok, I'm getting back to the Slovakia-Canada game that Canada is currently leading by a 2-0 score. Very serious entry tomorrow, but I feel that it is a topic that needs to be touched on during this time of year, so please tune in tomorrow and leave a comment. Is This The End Of Bergeron? I have spoken a little on the subject of concussions on this site before. 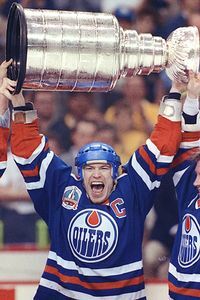 Players such as Eric Lindros, Brett Lindros, Pat LaFontaine, and Keith Primeau have had their careers ended early by concussions, and this is something that the NHL needs to look into before we lose someone's life due to a concussion-related injury from a hit to the head. Patrice Bergeron, as seen to the upper left, missed the majority of last season with a concussion after Flyers' defenceman Randy Jones crushed Bergeron into the end boards in the centerman's 10th game last season. The end result was a major concussion, and it led to him sitting out the entire season. Thankfully, Bergeron was given the green light to begin practicing and playing near the playoffs last season, but he was held out of the playoffs as a safety precaution until this season. It appeared that Bergeron was on a road to complete recovery as he appeared in 30 of 31 games this season, posting four goals and 18 points. That is, however, until Saturday afternoon when Bergeron collided with Carolina defenceman Dennis Seidenberg in the second period. He attempted to knock the defenceman off the puck with a bodycheck, but his head collided with Seidenberg's shoulder. Boston head coach Claude Julien told the Associated Press that "Bergeron was alert" when he spoke to him after the game. 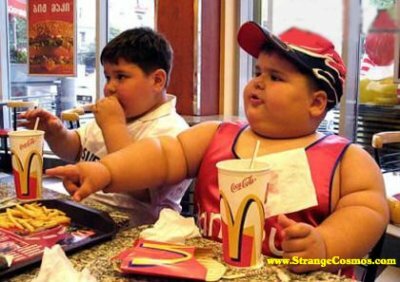 "The doctors have been looking at it," Julien said to the AP. "They haven't given us any indication as far as the severity of it. Obviously, he went down a little dazed. We're not able to give you a verdict. That's all I can tell you about that situation." Bergeron suffered a Grade 3 concussion on the Jones hit last season, and it appears that this head injury will be minor at the worst. But a brain injury, such as a concussion, can be entirely different that a head injury. General Manager Peter Chiarelli knew Bergeron was concussed at the time of the hit. "Yeah, you could see what it is the way his head snapped back, so that’s what it is," Chiarelli said to the Boston Herald. "We don’t know how bad." The fact that this would be the second concussion in 14 months for the 23-year-old has ominous overtones when it comes to Bergeron's age and career. At the time of his retirement from the game, Keith Primeau was 34. He couldn't even skate in practice without getting headaches and blurred vision, and Flyers trainer Jim McCrossin told him that he would never clear him to play in the NHL again in October 2006 after they exhausted every option for Primeau to return. Primeau had experienced problems with balance and vision earlier on in 2006, and it eventually led to his untimely retirement when he was in the prime of his career. "I think a career of concussions has a cumulative effect," Primeau said to ESPN in 2006. In testing for concussions and symptoms of concussions, Peter Keating of ESPN found that the National Academy of Neuropsychology's Sports Concussion Symposium discovered that 759 players since 1997 have suffered concussions. That's approximately 31 concussions for every 1000 games played, or approximately three concussions per 82 games. What I found interesting is that "[t]he NHL has been conducting baseline tests of players since the 1997-98 season. After a player is injured, doctors or trainers administer additional rounds of memory and motor-skill tests; they can then compare his performance to his baseline scores to help determine when he can return to the ice". In essence, these doctors have a final say on whether or not a player is fit enough to return to the game based upon medical data. The study found that "players often take blows to the head that exceed 100 times the force of gravity", something that is only increasing due to the high speed and aggressive nature of the game. According to studies, NHL players have missed an average of 639 games per season due to concussion-like symptoms - a scary number. What does this mean? No one is certain yet. The league cannot positive say "what kinds of hits NHL players are most susceptible to — whether most concussions are caused by, say, blows to the back of the head". They do know, however, that multiple concussions require longer recovery times, especially in the cases of severe head trauma. The latter would apply to Patrice Bergeron. He has now had a major concussion and another minor concussion in the span of just over one year - brain trauma that requires a lot of rest and observation. 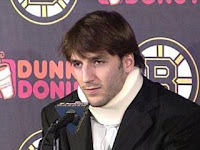 I'm not a doctor so my advice is meaningless, but I would hope that Bergeron doesn't rush back. He needs to be symptom- and problem-free in order to continue his career. More importantly, he needs to be problem-free simply to maintain his quality of life. I'm quite certain that if Bergeron needs any support, both Keith Primeau and Pat Lafontaine can tell him how important it is for him to be healthy rather than being back on the ice. Godspeed, Mr. Bergeron. But don't rush back under any circumstance. There aren't too many times that a sequel outdoes the first movie in terms of its popularity. There have been a few, and perhaps the most notable movie to do so was George Lucas' The Empire Strikes Back, the follow-up to the immensely popular Star Wars. In this case, Uni Watch's Phil Hecken and myself had collaborated with other members of the Hockey Alliance, and we broke down the 19 new alternate jerseys in terms of worst to first. Part One is here in case you missed it yesterday. Today, we bring you the best of the best of these new uniforms. I'm happy to say that these are fairly eye-pleasing uniforms, and it should be no surprise that colour leads the way. Again, a huge thanks to Phil for his work and his inclusion of me in this project. 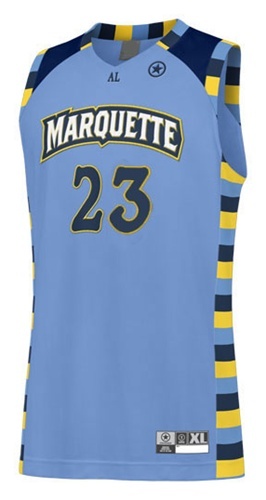 Without further adieu, here is the second half of the Uni Watch alternate jersey examination. Once again, comments are welcome here, but I'll be over at the Uni Watch Blog site discussing these uniforms. Come find us there if you want to chat! So there you have it: all 19 jerseys in a two-part review from some of the esteemed members of the Uni Watch Blog comment section. You may disagree with the rankings, and that's entirely acceptable. We all have different tastes, and our likes and dislikes vary from one individual to the next. That's what makes this game so great! Again, if you want to weigh in, please head on over to Uni Watch Blog where I'll be hanging out for most of the day. All comments are welcome! Lastly, I want to thank Phil for his impressive work that he did on this article. I am proud and honoured to be a part of this project, and am happy I could help out with it. There will be other collaborations, so stay tuned for further Uni Watch/HBIC efforts! You're Wearing That? - With History!